Do your kids often spend the night at their grandparents’ places? 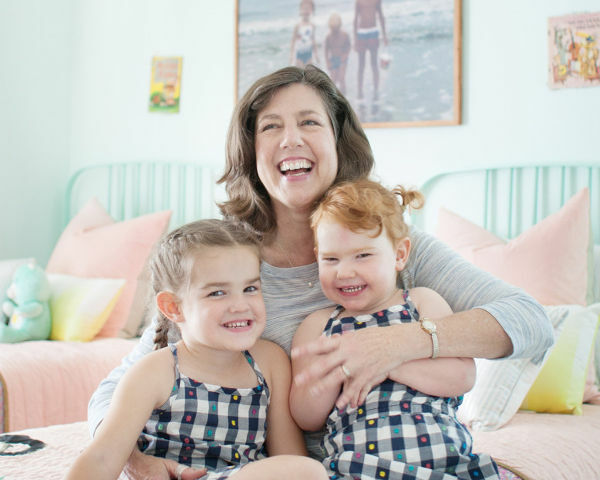 This grandmother helped create a beautiful space for her granddaughters, so they feel extra special whenever they have a sleepover at Nan’s. 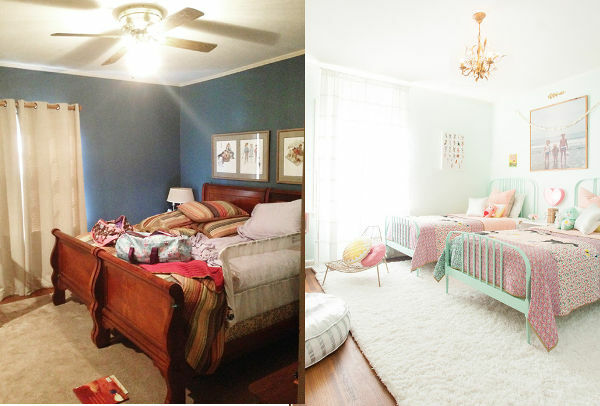 I absolutely love the idea of creating a gorgeous guest room at a grandparent’s place, so kids feel right at home, even when they’re not! The aim was to create a light and bright space, which held special meaning for the family, and could remain as is for a good length of time. 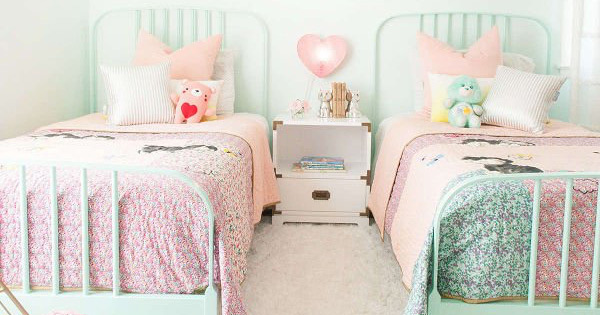 The beds in the room were chosen specifically for their ability to transition nicely from little girls to teens, simply by changing the linen. And of course this is also handy when Nan has older guests staying. The new pieces in the room have been paired with vintage finds, to ensure a timeless feel. There are also photos of Nan’s own children – her grandchildren’s parents – when they were growing up, to create a meaningful space. 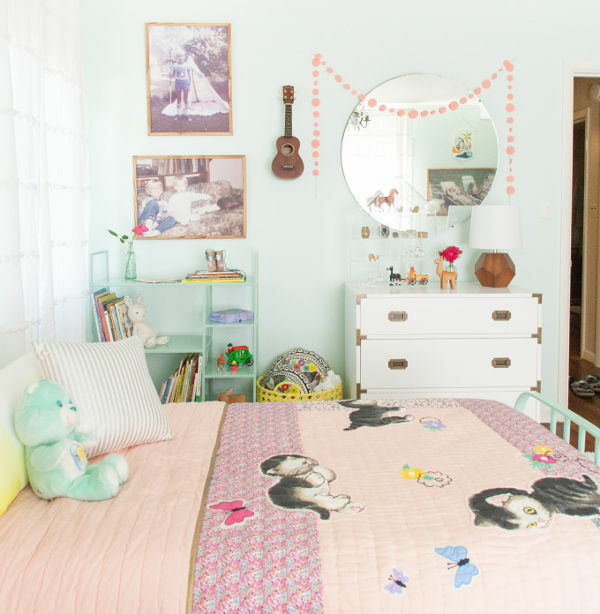 Their childhood toys have also found a special place in the guest room. You can see more photos of this beautiful room over at Lay Baby Lay. 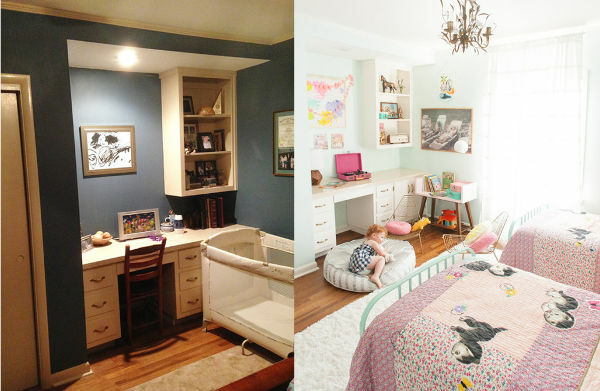 We absolutely love this idea – is this something you’d love to create at your children’s grandparent’s homes?